The Chinese electronics maker, Meizu has officially launched its new flagship smartphone – Meizu Pro 6 which the company claims as world’s first 10-core smartphone. The Meizu Pro 6 is much like its predecessor Pro 5 that comes with all-metal body smartphone. 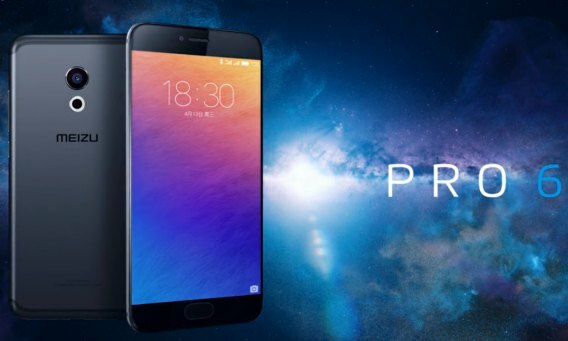 Meizu Pro 6 combining 5.2-inch Full HD (1920 x 1080 pixels) Super AMOLED display with 3D Touch support called as ‘3D Press’, powered by Helio X25 deca-core tri-cluster processor clocked at 2.5GHz, Mali-T880 GPU, and 4GB of RAM. In addition, Pro 6 is equipped with 21-megapixel Sony IMX230 rear camera autofocus sensor lens with unique 10-LED ring-shaped flash unit and 5-megapixel front-facing camera for selfies and video calls. The Pro 6 also includes Cirrus Logic Hi-Fi chip to offering best audio experience for users. Meizu Pro 6 dimension 147.7 x 7.08 x 7.25mm and weighs 160grams. Available in Gold, Grey and Silver colours. The Pro 6 comes in two version, 32GB and 64GB with price $386 and $433. Both the version of Meizu Pro 6 estimate will be available starting from April 23rd in China.